With Android devices getting some crazy high spec’ed camera’s lately, it’s only fair that there be plenty of Photography apps to show off the quality of that camera. 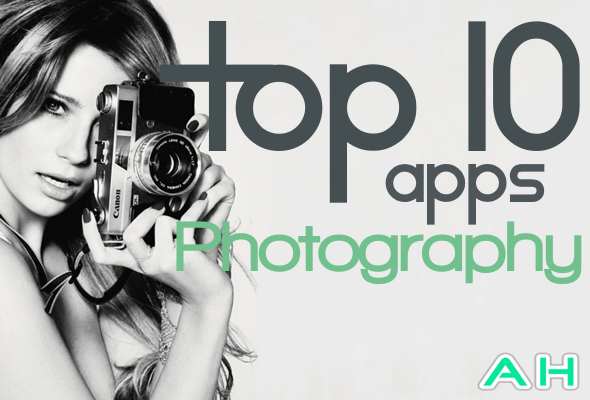 We’ve scoured the Play Store to find 10 of the best photography apps and have them listed below. We’ve got some photo sharing apps, photo editing apps, and some camera replacements you can try out. In Android 4.0, we were introduced to Panorama mode in the stock Android camera app. But for many, their device may never see Android 4.0, for many reasons. This app will give you a separate camera app to take Panorama pictures. This app generates Panorama photos pretty quickly, dare I say faster than the stock camera app on Android 4.0 and above? Try it for yourself and see. PicCollage is exactly what it sounds like. It’s an app that allows you to create picture collages on your Android phone. It’s actually pretty neat. PicCollage is also a Top 10 photo app in many countries including the US and Japan. Making Picture Collages have never been so easy, or easy to share on Instagram, Twitter or even Google+. Everyone knows about Flickr right? It’s that photo sharing network that is now owned by Yahoo! who is still trying to survive in the ever-changing world of the web. With the Flickr for Android app, it makes it much easier to share your photos, upload them and much more. If you’re still a big time Yahoo! user, you may want to check this one out. This is a cool little camera app. It adds a paper effect to your pictures, now what I mean is that instead of crystal clear photos, it turns it into paper photos. Just like the name of the app. So if you’re the type of photography person that likes to play around with new effects on your pictures, this is a good app for you to download and try out. You’ll love it. We all know about Photoshop right? Well this isn’t the full version of the touch-interface Photoshop, but rather the necessities like croping, scaling, etc. It is still a great app from Adobe that allows to edit your pictures in many ways, and for a free app, you can’t go wrong. Now this app, FxCamera is like an entire Camera app replacement. It brings you all kinds of new effects including Toycam, Fisheye, Instant, and many more. If you’re one of those picture fanatics, this is for you. Give a try today. Vignette is much like FxCamera above, it brings you all kinds of new effects and camera modes to take pictures in including Vintage, Polaroid, Photo-booth and double exposure are just a few. There is a free version for you to try out, but I’m sure you’ll pick up the paid version soon. Everybody’s favorite photo-sharing app. Okay maybe not everyone’s but it is one of the most popular photo-sharing apps on Android. With the filters built in and the social presence on both Android and iOS it’s a big winner. There are over a billion people using Instagram, are you on of them? Pxlr-o-matic allows you to add different effects to your pictures. It allows you to add fun retro effects, color overlays, and lighting effects. The app also makes it easy to export and share elsewhere like Instagram and Twitter. It’s available free in the Play Store, just hit the button below. PicsArt is the #1 Photography app in the Play Store (at the time of writing this) and it’s a great app. 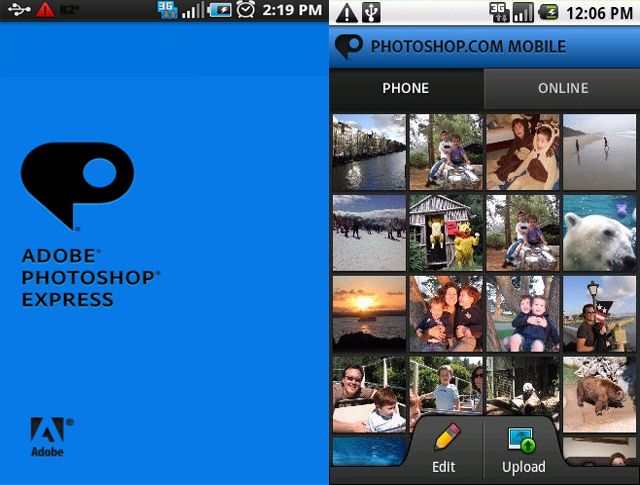 It is a fully featured Photo editing application along with a full photo community. You can share your photos on PicsArt very easily and check out others. Try it out and see what you think.